CMA has a longstanding relationship with Reder Enterprises, who created the restaurant/bar STOUT as a casual neighborhood complement to its two Tap House locations (in downtown Seattle and Bellevue, WA). 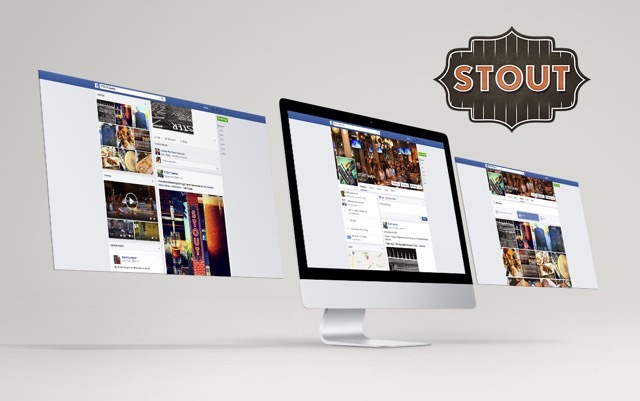 Several months before STOUT’s January 2015 grand opening, CMA was brought in to not only create brand standards, a logo-design, and a mobile-friendly website for STOUT, but also build a buzz on their social media channels, as well as revitalize Tap House’s social momentum. Our web designers produced a striking website with the help of our graphic design department. Then our social media specialists got to work growing excitement for STOUT’s approaching launch and recharging Tap House’s online engagement on Facebook, Twitter, and Instagram. We started our process by connecting with industry experts, such as beer blogs and local restaurant press, and generating in-house social content, like on-site photography and graphic elements. One of our favorite creations was a time-lapse video of the construction of STOUT’s back bar, highlighting the hard work and attractive design that went into the structure. We also touched base with the artist who painted the bar’s mural and the local artisans who produced STOUT’s beautiful chairs, tables, and chandeliers. All of this colorful information was then passed on to our social audience to build community and grow interest. Once STOUT was open in Seattle’s Capitol Hill neighborhood, we engaged with their managers and employees, as we had done with Tap House, to generate first-hand content. We also shared customer-generated posts across all of the channels, encouraging more people to check in, share pictures, and write reviews. Along with an infusion of promoted posts, this organic groundswell produced thousands of social media followers for both businesses. Lastly, CMA’s social media department provided ongoing community management and timely customer service, including on-site social media support and consultation for events like the Super Bowl (Go Hawks!) and STOUT’s grand opening events. Contact CMA today to learn more about our social media services in Seattle and across the nation. We have experience with a wide variety of industries. With our help, your business can effectively connect with customers where they are spending more and more time.